I am organizing a trek for the blind on 1st October. I am organizing this for the second time. I have a volunteer group named India for Inclusion ( which is not an NGO) through which I aim to support people with Disabilities in various activities. 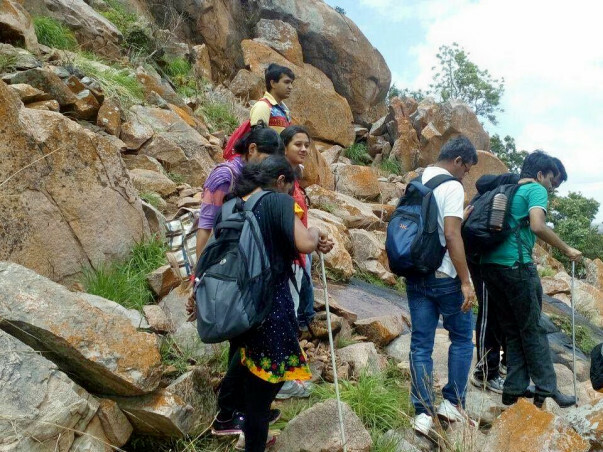 This trek is not a fun activity but we aim at enhancing the mobility of Visually Impaired by giving them more confidence to move their body. It also gives them a different experience. I do not believe in discriminating anyone, everything must be available for everyone. I believe that we should not stereotype any person just because they have a disability as each one of us has our own challenges which we overcome with the help of solutions. They are going to Ramnagar (60kms from Bangalore) for trekking. The fund raised is going to be used for their transportation and food. The amount required for Transport will be 16,000 and the remaining 6,000 will be used to organize Breakfast and lunch for 50 people going for the trek.